Sandstrom’s is pleased to partner with Siewert’s Towing, with 3 area locations including right here in Cannon Falls. 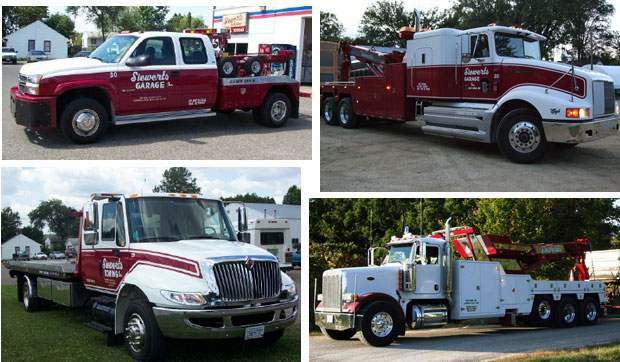 Siewert’s has the equipment and expertise to tow and/or recover any vehicle, from regular passenger cars to big-rig tractor-trailers. They have 24-hour dispatch and will get your vehicle to us safely and securely. During our normal business hours, we’ll be happy to coordinate your tow for you! Just give us a call at (507) 263-7979. 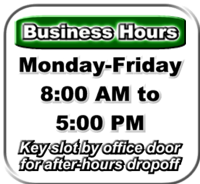 After business hours, please call Siewert’s directly and let them know you’d like your vehicle dropped off at Sandstrom’s.